Discussion in 'Mach 3 Composites' started by Mach3Composites, Jan 4, 2011. 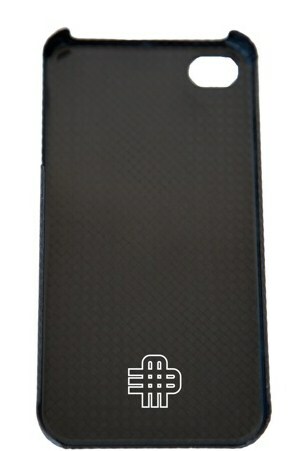 Mach 3 Composites - Original innovator of High End Carbon Fiber Case Solutions. New low profile logo design for our gloss and matte finish carbon fiber Ipad and laptop cases. I love what your company is doing, but I do have just a suggestion or two. I know that someone else had already mentioned it, but a handle on the larger case would really be ideal. Also, I think your *other logo would look better in place of the one with the "red arrows". Also, torx or Allen head screws would look better than the Phillips heads imo. * or even the one you have shown in your link, with the "M" interlocked with the "3". The red in the logo just isn't my cup of tea I guess. Minor at best though, as the workmanship is what counts, and judging from the photos, it is top notch. Many thanks for taking the time to provide us with feedback. I agree, we are toning down the logo. The one with red in it will only be showing up on the carbon kevlar finish only. The black cases will have the logo above. For the time being the the interlocking M(if you look at it closely you can make out an M,3,C all wrapped together) will start showing up on our iPad covers and iPhone cases. We have some great designs and concepts that we will be rolling out. Our "coming soon" MacBook Air carbon fiber case promises to be carbon fiber eye candy. Stay tuned! Carbon fiber case for the MacBook air? I'm in! Is a matte finish on the iPad cover that is the same design as the glossy one I bought available yet? Are you asking about a matte finish iPad case or cover? Cover. I bought a glossy one from you last month because I did not like the upper layer cutout and the hole cutout on the matte style. I am wondering if there is a matte one now that looks exactly like the glossy. At this time we have not changed the finishes on the covers. Hope you had a Merry Christmas.